Upgrading CPU? So you've decided that your aging system needs a faster processor to keep pace with the latest applications. 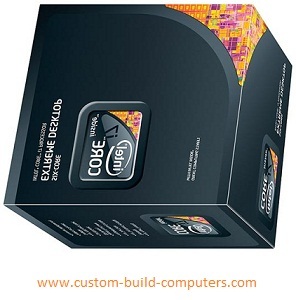 This great site will show you the options you have when it comes to upgrading CPU, your processor. It will also guide you through an upgrade and give you strategies and tips for avoiding problems. A new processor can boost performance, but it won't resolve bottlenecks that exist with memory, graphics, and other areas. Before opting for a processor upgrade, make sure that you aren't overlooking other possible upgrades that might do a better job of improving performance. No doubt about it, a processor upgrade is serious business the PC version of a brain transplant. Although most CPU upgrades entail replacing the existing processor with a faster chip, the real payoff comes from the more-sophisticated processing features of the upgrading CPU. How does a CPU upgrading work? 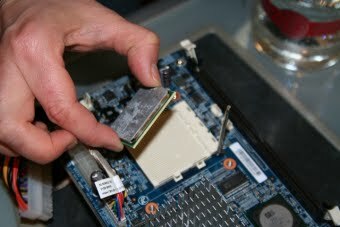 In most cases, the upgrade chip plugs into the same socket occupied by the existing CPU. The new chip communicates with the PC using the same pins employed by the original processor but adds all the talents of its more-sophisticated core. Depending on the upgrade, the new CPU, upgrading might add new functions to the PC such as floating point math or MMX instructions or it might simply augment existing performance with a faster internal clock, larger cache, or optimized internal operation. Boost internal CPU clock speed. Add or improve floating-point capability for some 3-D and imaging applications. Add MMX instruction support for multimedia applications. Provide a superscalar pipelined architecture to increase the number of operations performed per clock tick. Add or enlarge the LI cache to reduce wait states in the processor. Work with motherboard settings to allow faster external bus speeds. The level of benefit to your system depends on several things. The important thing is not to overestimate what a CPU upgrade can do, particularly for older 486 systems. They will force a fast processor to halt operation while it waits for data to come from the system. Slow motherboard speed: Many 486 motherboards are limited to 33MHz operation, half the speed of current motherboards. Narrow external bus Older systems with 32-bit memory buses will starve a fast CPU. Slow system RAM - Today's PCs feature enhanced RAVI running at 60ns or faster, versus the 80ns RAM that you might find in a 486. 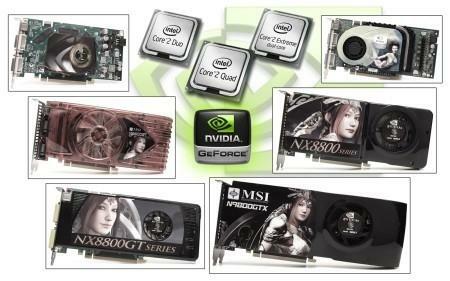 The 30 percent speed difference and ineffi¬cient design can force your new CPU to wait. Lack of L2 cache: Because they didn't need to keep up with super-fast CPUs, older PCs might lack the ability to use a fast L2 cache. Again, your new CPU might end up waiting for data. Slow graphics bus: If your 486 lacks PCI or VL-bus slots, a processor upgrade can't help solve problems with graphical programs. At the very least, you'll need to consider a motherboard upgrade. Slow hard disk: Today's hard disks feature access times of 11 milliseconds. Four years ago, 25ms was common. This means that programs take longer to load, data crawls into RAM, and virtual memory is a swamp.